If you find yourself wondering “what is MTHFR?” you’re not alone. 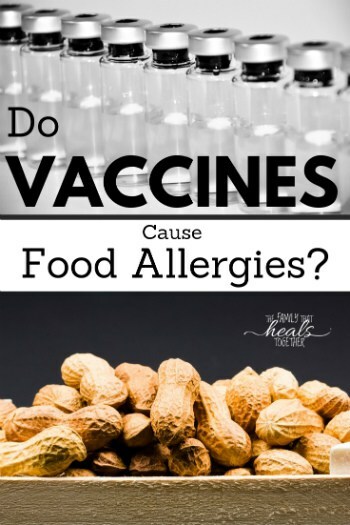 I, too, found this topic mysterious and overwhelming not so long ago, though I’ve long suspected it could be partly responsible for my health problems. 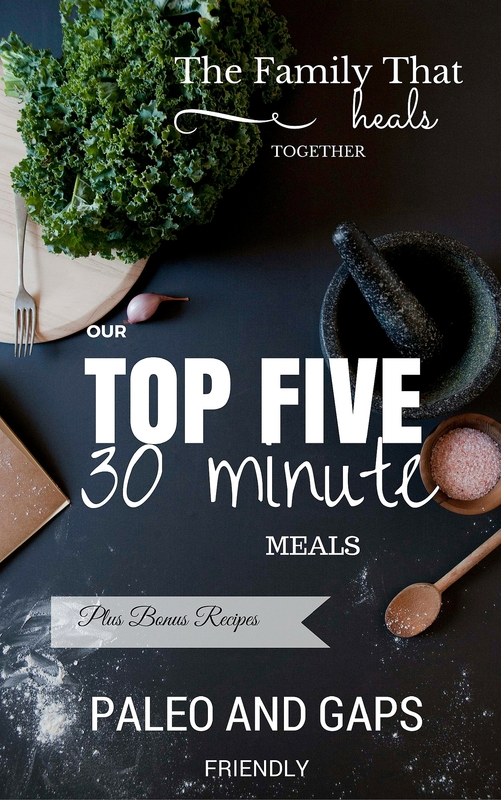 Here, contributor Danielle gives us a simple overview. MTHFR is a popular topic right now. You may have thought that it was a new curse acronym, or maybe a true natural health woo topic. But alas, it’s real and that’s it’s real name! And you have this gene in your body right now, so you better know what it is and how to manage it. Unless you’re a geneticist, this can all be a bit confusing and frustrating. 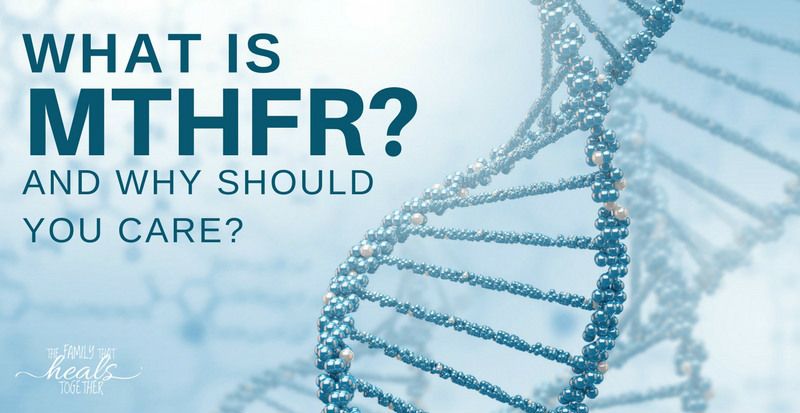 However, it can greatly benefit your health to know your MTHFR status and live accordingly, so here is your very basic primer on all things MTHFR. MTHFR, which is short for methylenetetrahydrofolate reductase, is an enzyme which helps in numerous important processes, including processing amino acids and converting the vitamin B9 (folate) to a usable form. This affects your cardiovasular system, hormones, metabolism, and detoxification. Let’s go back to science class real quick. Everyone’s DNA has two sets of each of the 23 chromosomes. At each of these chromosomes, you may have mutations, which can affect how your body functions, just like your genes affect your hair color, eye color, and height. In the case of mutations, you can have one “bad” gene, which means you’re heterozygous for a certain trait or mutation, or both genes can be “bad”, which is called homozygous. Your DNA is in all the trillions of cells in your body, and holds the instructions on how to do everything your body needs to do. If there is a mutation in your genes, your cells may have a hard time following the instructions, trip up, and not complete the process the body needs to occur. Though there are many genes and genetic mutations, MTHFR is one of the main antagonists to the methylation (read detoxification) process. The two most commonly known MTHFR mutations are named A1298T and C677T, with C677T being more serious. It is estimated that up to 20% of the population has the A1298T mutation, and 30-40% of the population has the C677T mutation. How your MTHFR enzyme functions is based on your MTHFR genetic mutation status. This enzyme is a key factor in the methylation process, which repairs, builds, and destroys our cells. The methylation process is a very detailed process, but you can see a somewhat simple diagram here. You can see that the MTHFR enzyme is used to turn folate (vitamin B9) into a usable form for our bodies and to complete the methylation process. Without it, methylation is not completed, folate is deficient in our bodies, and we cannot detoxify and rebuild cells properly. 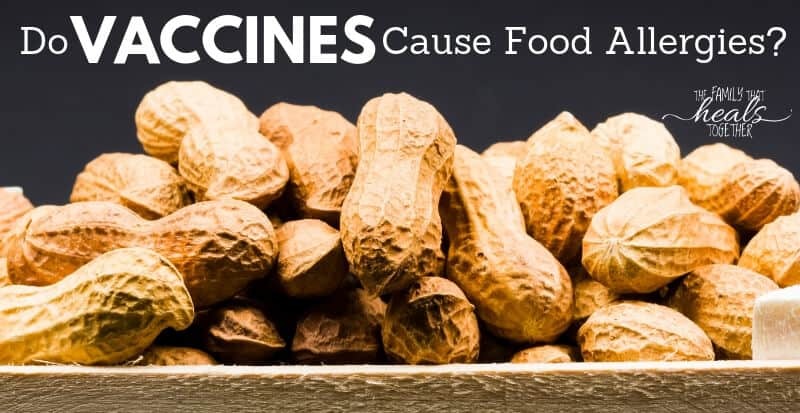 That can lead to chronic illness, behavioral disorders, susceptibility to acute illness, and food sensitivities and allergies, as well as a gamut of other small issues which may work together to produce a larger issue. Having these symptoms does not necessarily mean that you have the MTHFR mutation, but it is more likely. In general, those with MTHFR cannot detoxify toxins as well as those without, and therefore are more likely to experience imbalance in the body which brings disease. Here is a full list of symptoms this mutation may cause. If you have MTHFR, you may or may not have any symptoms. Your lifestyle, including the foods you eat, sleep and stress levels, detoxification attempts, sunlight and much more, will dictate if you experience significant symptoms, or if this mutation is barely noticeable. Our lifestyle choices can, in effect, activate or deactivate our genes, meaning you have more power than you think. You are not at the mercy of your genes. A number of tests can be used to identify your genetic mutations, including MTHFR. Your doctor may be able to order genetic testing, which may be covered by insurance if you have a health concern. Otherwise, you can simply do a saliva test through an online provider like 23 And Me. You can then bring your information to a genetic counselor, biomedical doctor, or naturopath who is schooled in MTHFR mutations. You can also plug your information into databases which analyze your detox and methylation abilities, such as Genetic Genie. If you experience have an MTHFR mutation, you can make lifestyle changes to improve your body’s methylation cycle. You can also add intermittent fasting to your routine, which will allow your body more time to detox. Managing an MTHFR mutation will require you to cut out some foods and supplements to achieve better health, as well as take care to be sure your body is getting what it needs. Folic acid (the chemical-substitute of natural folate). This is added to everything processed. Check that your supplements do not have this form of folate. Pork and shellfish (these meats have the highest concentration of toxins). Good sleep (at least 8 hours a night). Your best course of action to combat a MTHFR gene mutation is to get tested, move to a balanced, natural lifestyle, and see a naturopath or biomedical doctor for continued testing and a customized supplementation routine. You can research for weeks on this mutation, as well as DNA’s role within health. However, balance is key in life as well as in DNA study. Just because you have this or other mutations does not mean you have a death sentence. Do not become overwhelmed in researching, but test how foods and supplements make you feel and listen to your body. If you suffer from the symptoms listed above, it may be a good idea to get tested and use this information. Remember, our genetics do not dictate our health, but they are a big piece of the puzzle.